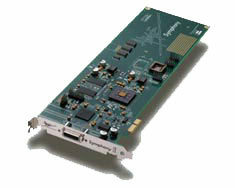 Symphony, Internal PCI/ISA Sound Card from Apogee in the Symphony series. Apogee has released an update for its Symphony 32 PCI card. 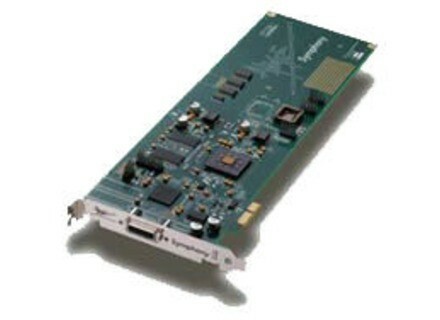 The hardware is part of the Symphony family of audio interfaces for the Mac, which include the Symphony Mobile card and the recently introduced Symphony 64 PCI card. The Symphony 32 Update offers new features such as SBus connectivity with Symphony 64, Euphonix EuCon support, and several other improvements, according to Apogee. All those features are described in the Read Me document included in the update package. Apogee recommended that all Symphony 32 users update their systems. Sbus - Connect one Symphony 32 card to the second port of a Symphony 64 card. Euphonix EuCon support - Control the Maestro mixer from EuCon-compatible control surfaces. Symphony Source - enable and disable PCI cards from the Maestro Control window (or the OS X utility Audio MIDI Setup) without the need to remove them from your Mac. For more info, check out www.apogeedigital.com. Waves Mercury Discount Waves is offering a 20% discount on its Mercury pack (Native and TDM).